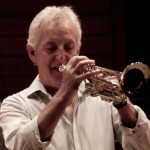 John Braben is one of Australia’s leading players of the “hot jazz” style. His biting tone and straight ahead, always tasteful, always accurate lead have much to do with the CSJB’s hot sound – and his exciting and creative solos are always a highlight of CSJB performances. John spent his formative jazz years in England, in groups in the Merseyside area such as “The Gutbucket Stompers”, “The Dee Valley Jazzmen”, and “The Panama Jazz Band”. His influences were the early New Orleans and Chicago bands, and of course individual trumpeters/cornettists such as Louis Armstrong and Bix Beiderbecke. 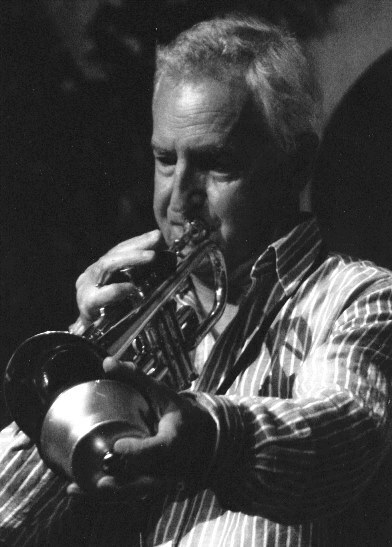 John emigrated with his young family to Brisbane, Australia in 1973 where he and his old Merseyside friend and reeds man, Andy Jenner, formed the Vintage Jazz and Blues Band. Although John’s style is firmly established in hot jazz of the 1920’s and 30’s, his adaptability blends well with the CSJB’s versatile repertoire. 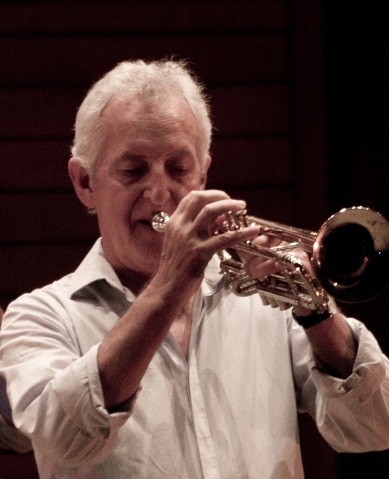 John has played with artists such as Tom Baker, Eric Holroyd, Bob Barnard, Paul Furniss, John Sangster, Graeme Bell, Ken Herron, Ian Date, Brett Iggulden, Tich Bray, Mike Knock, Mike Hallam, Diz Disley. He has shared the bill with or warmed up Kenny Ball, Stephane Grappelli, and the Dutch Swing College Band. John’s profession embraces graphic design, illustration and painting.